This excellent collection contains 13 essays from Gadamer's Kleine Schriften, dealing with hermeneutical reflection, phenomenology, existential philosophy, and philosophical hermeneutics. 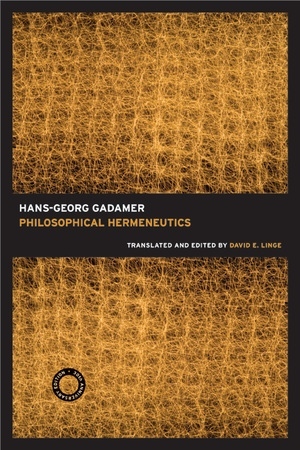 Gadamer applies hermeneutical analysis to Heidegger and Husserl's phenomenology, an approach that proves critical and instructive. Hans-Georg Gadamer (1900-2002) was one of the most important German philosophers of the twentieth century. His magnum opus, Truth and Method, was decisive in the development of hermeneutics.